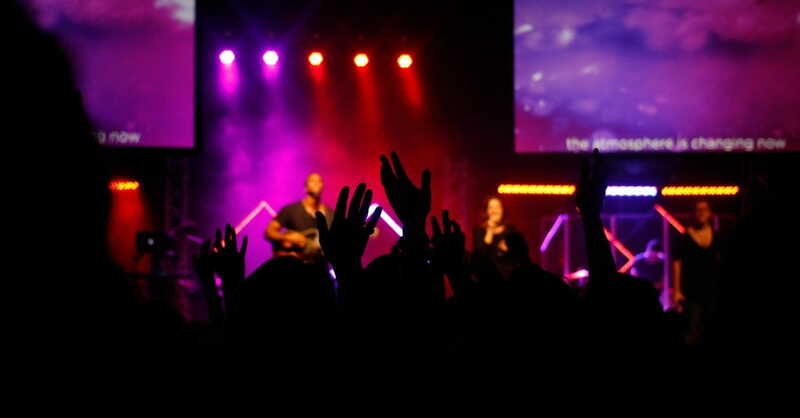 Old or New Worship Style—Is One Better than the Other? The antique wood doors of the old sanctuary were closed, but I heard the sound of the drums, the twang of guitars, and the voices of those attending our Day One worship service. Worship? How can they call those repetitive chants and loud music worship? Then our 21-year-old granddaughter moved to Dallas. She came to early service with us once or twice, and I loved having her sit with Papa and me. But the next week she asked if we minded if she went to Day One Worship instead. And for the duration of her time in Dallas, I watched as this young lady joined the college career Sunday School, became involved in their ministries, and was there for worship service every Sunday. The change in her was more than noticeable. She was radiant. And the voice in my heart whispered You might want to rethink your opinion. Still, I refused. Several months later, our Sunday School teacher announced he would be out of town on a speaking engagement, but there would be a guest speaker in Day One Worship and suggested we might want to attend the contemporary service to hear him. I thought of every excuse I could to keep from attending the contemporary service. But when the day arrived, most of our class decided in to go. And while God didn’t strike me with lightning, more than once I heard that voice whisper You might want to rethink your opinion. We filed out of our traditional worship service and made our way across the plaza to the old sanctuary where crowds of young worshipers gathered. The music playing in the background was a toe-tapping tune and people of all ages were full of joy and welcoming. Those in the pews were friendly and visiting with each other. Some even had their small children with them. A number of our Sunday School Class joined us and we all filed into a couple of rows in the middle of the sanctuary, looking doubtful about what was happening around us; and yet, I couldn’t dismiss the warm joy growing in my spirit. To my surprise, we didn’t sing a single chorus 20 times. I was unfamiliar with a few songs, but there were one or two newer hymns I knew. And when the pastor began to speak, I was amazed by the genuine joy exuding from his spirit. At the end of his message, the worship team came to extend the invitation or altar call with a song I had never heard… a song so beautiful that I was gathered into the glory of our God, the glory of His majesty, and the marvelous presence of His peace. My heart was changed. And so was my mind. The name of the song “So Will I,” by Hillsong, brought me to tears and even as I write these words with “So Will I” playing in the background, I am reminded we must never put God in a box. I’m reminded things aren’t always as they seem at the first glance. And I’m reminded of the enormity, splendor, and variety our God displays throughout His creation and in our worship of Him. Who am I to set rules and regulations to what’s real worship? Looking around the sanctuary that day, I saw people who reminded me of those in the first century church - we all needed to meet Jesus! “Create in me a clean heart, O God, and renew a steadfast spirit within me” (Psalm 51:10 NAS). The following Sunday, we were back in the new sanctuary, sitting in our regular spot. I looked around and felt the preservation of tradition. But I couldn’t help but miss the open joy expressed by the congregation of our Day One service. The services were different, but both worshiped the Lord God Almighty and our Lord Jesus Christ. I caution those who cling to traditional worship to not withhold your approval or your financial support because of their different style of worship. Wipe from your mind, we’ve never done it that way before. Perhaps all of us on the senior side of adulthood should consider visiting the contemporary service at our church. Unity in the body of Christ is necessary and commanded. Jesus spoke often about the priests, scribes, and pharisees in the days of that first century. And His words weren’t complimentary. Yet the religious group never missed a Sabbath, a festival, or a sacrifice. They were always scrubbed and polished on the outside and maintained all the sacraments, but our Lord compared them to whitewashed tombs, snakes, vipers, and hypocrites, because their hearts were evil and wicked—never changed. Regardless of style, we can become so bogged in the tradition of our songs and worship they become a ritual of stale routine. A matter of habit rather than those hallelujah moments of a transformed heart. “Sing for joy in the Lord…praise is becoming to the upright…sing to Him a new song…play skillfully with a shout of joy” (Psalm 33:1-3 NAS). We have an enemy whose 24/7 occupation is to disrupt the church—any way he can. Don’t let yourself be deceived and drawn into his snare of condemnation like I was. Pastors and elders, it’s your responsibility to be on your knees seeking His wisdom, then on guard so the principles and precepts of the Word of God are preserved in your congregations. The key is unity in the body of Christ. Unity to proclaim the Gospel of Jesus Christ whether you choose the old or new style of worship. Wife, mother, and Mimi, freelance artist and photographer, DiAne Gates writes for children, young adults, and non-fiction for adults through her blogs, http://dianegates.wordpress.com/ and www.floridagirlturnedtexan.wordpress.com. She also facilitates a GriefShare support group. DiAne’s award winning, ROPED, first in her western adventure series released July of 2015, and the second book, TWISTED, released by Pelican Book Group July 14, 2017. Third book in this series, UNTIED, is her WIP. You can find DiAne on Facebook.